What a welcome! 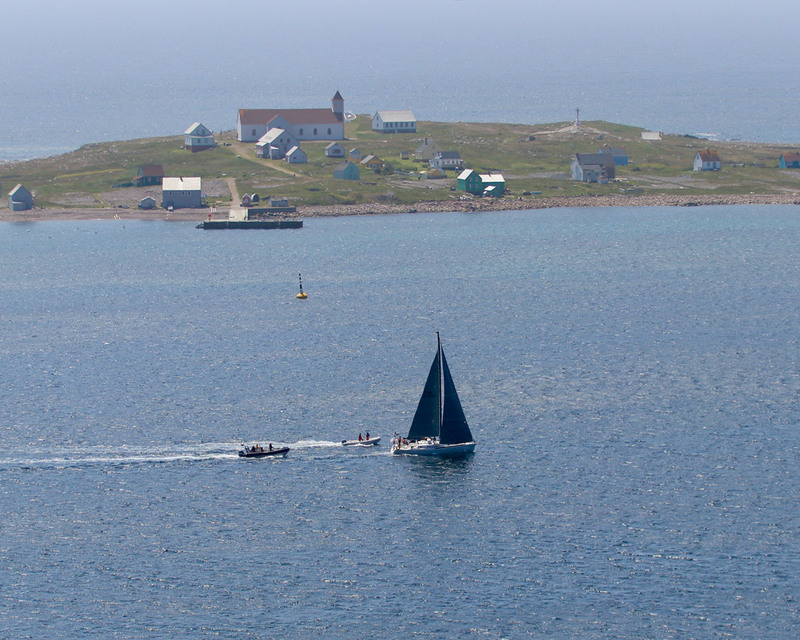 Crews arrived in Saint-Pierre et Miquelon with plenty of smiles, warm handshakes and fantastic lights. 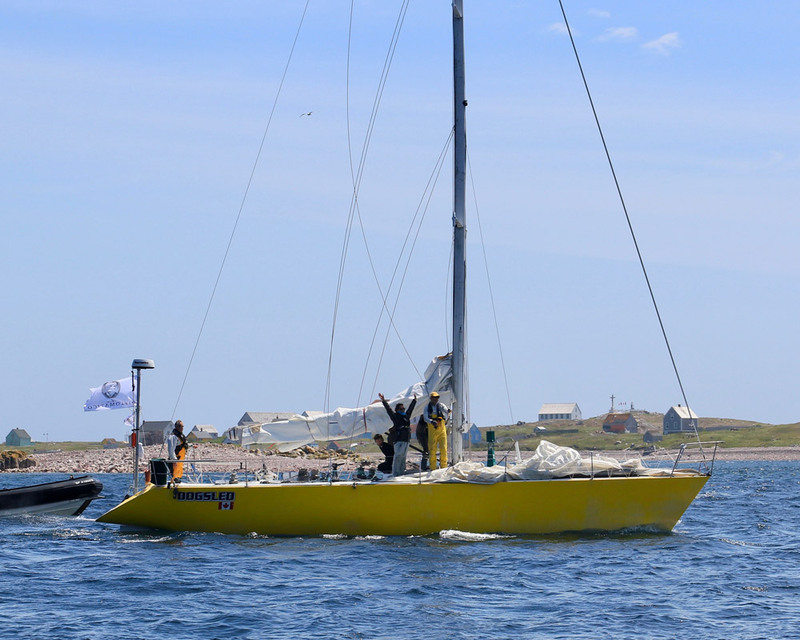 “Saint-Pierre is like the village of well-known Asterix, it is a gravity center of emotion in the Atlantic!” said Gilles Barbot, skipper of VOR 60 “Esprit de Corps IV”, first boat cut the finish line last night, on Wednesday, June 27, at 10:34 pm. 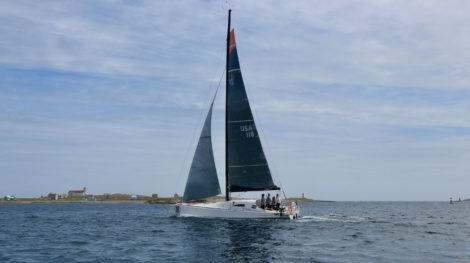 It took exactly 33 hours 24 minutes and 43 seconds to the huge 60 feet monohull and its ten crew members to reach the archipelago. 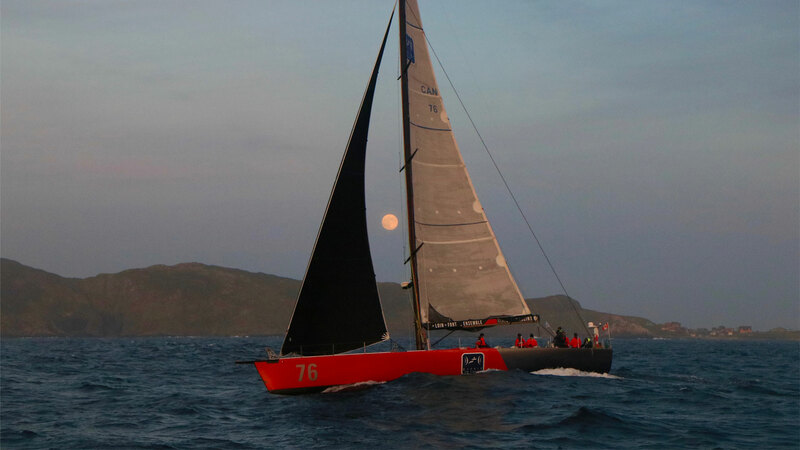 Less than 3 hours later, CLASS40 “Saint-Pierre et Miquelon Oakcliff Racing”, 2012 Farr design, cut the finish line under a full moon lighted sky and strong winds. 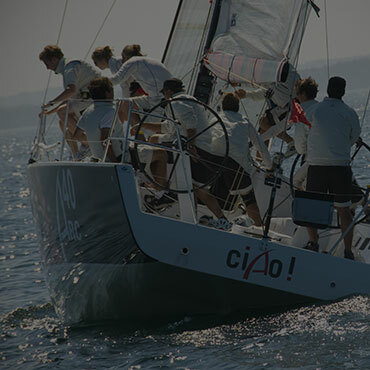 “We lowered the spinnaker just before arriving to secure safety. 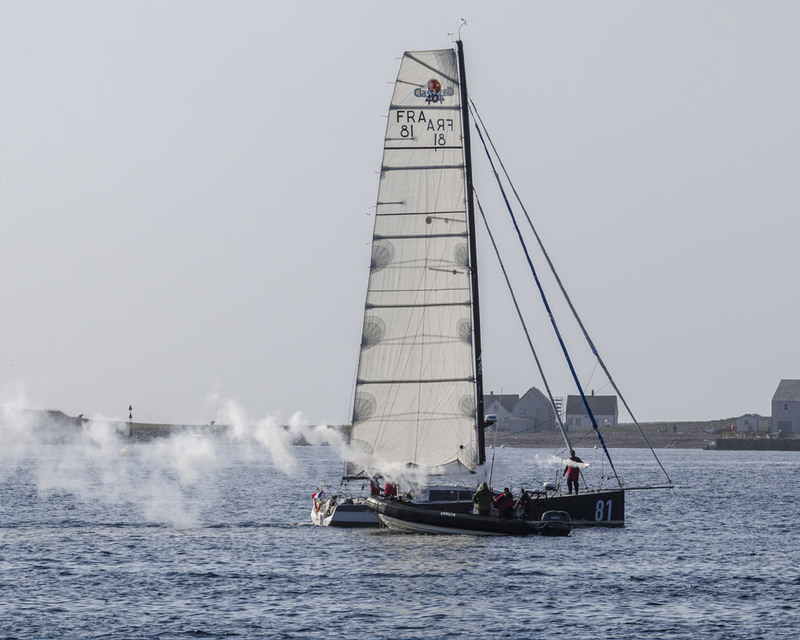 We were right because we caught 30 knots and reached surfing until 15 knots, it was quite violent.” What a fight with “Bleu 35”, Manuard design of Canadian Eric Tabardel! 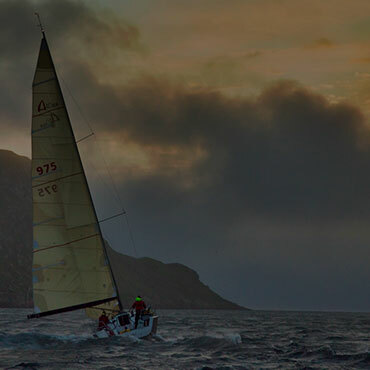 Under spinnaker, in tonic conditions, crews had to show intelligence and concentration for 36 hours. Rolling walks, eyes red from salt and tiredness, injured hands, the sailors headed for to the Café de la ROUTE, beating heart of Saint-Pierre during this week of ROUTE celebration. 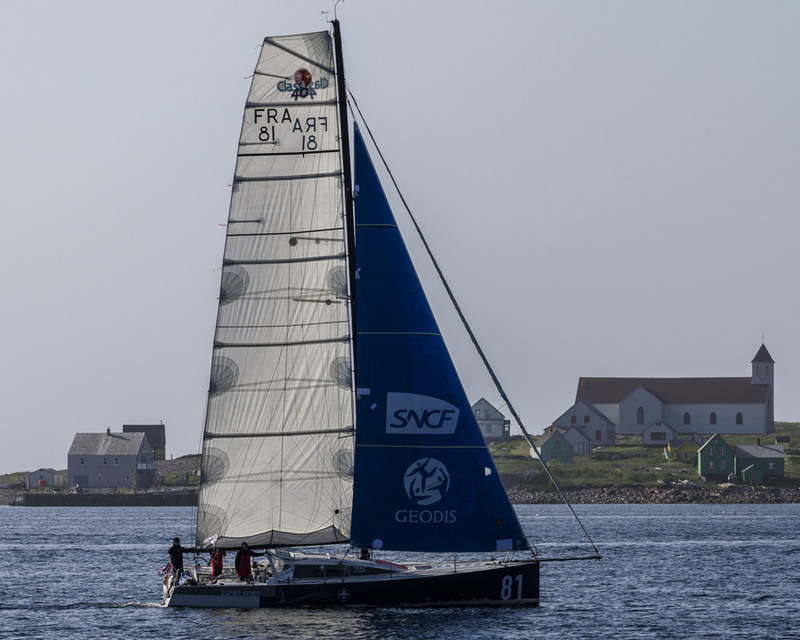 A perfect place to sail the race again and where we learn that CLASS40 “Esprit Scout” lost two spinnakers, “Esprit de Corps IV” as well, just like “Bella J” together with an extra halyard. Small damages but a lot of blue in the eyes. 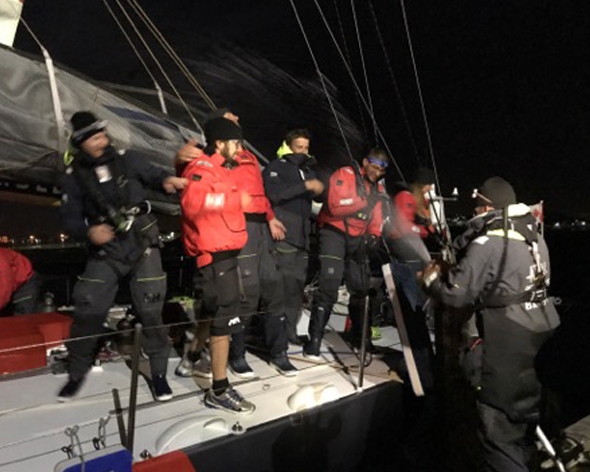 “The race was great, we arrived under spinnaker, the wind was 20 to 30 knots with sunshine, it was magic” said Gaëlle, one of four girls on the J133 crew. 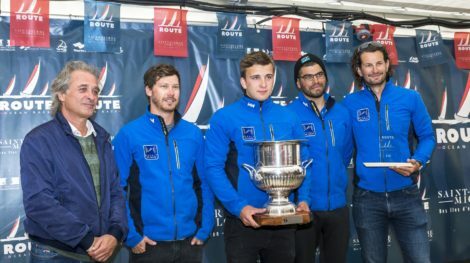 356 miles of absolute happiness and crew cohesion, this is finally what we must remember from this 9th ROUTE Halifax Saint-Pierre: “We recorded a peak of 29.9 knots under spinnaker surf, it was “Champagne” conditions, extraordinary.” said Gilles Barbot, skipper of “Esprit de Corps IV”. 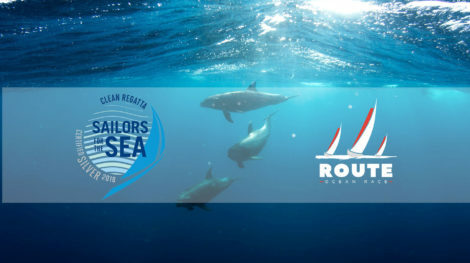 One other great aspect of the ROUTE so that the link remains between the people of the ocean: the sailors sponsors. 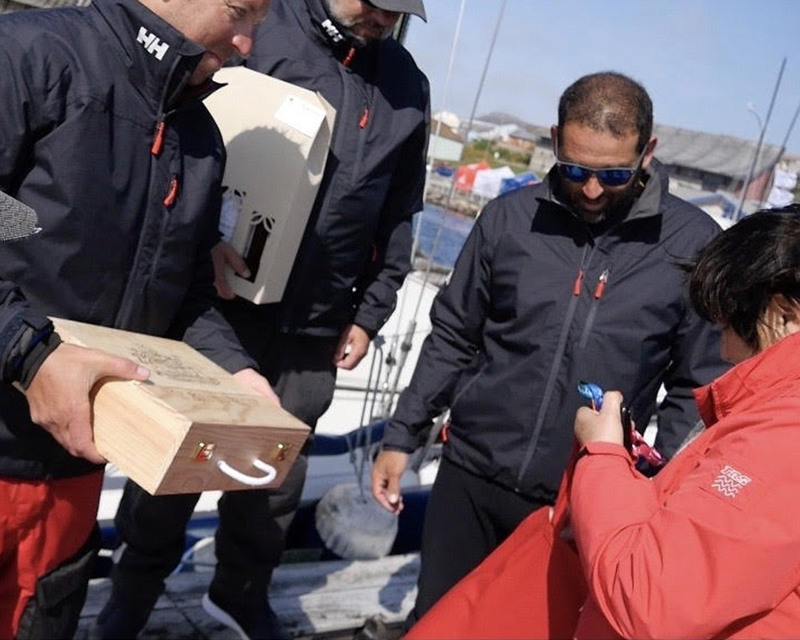 Upon the arrival of the sailboats at the pontoon of Saint-Pierre, the sponsors are anxious to welcome and meet skippers and crew members. A great pride for the people of Saint-Pierre to welcome home these men and women from Canada, United States and Europe to have a good time on their pretty “rock”. A hug, a welcome gift no matter of the time, day or night, it is the happiness of ROUTE Halifax Saint-Pierre!